Chardham Yatra have a great importance and significance especially among the people of Hindu religion. Millions of devotees visit this auspicious holy yatra and pay homage to the temples every year. It is commonly believed that undertaking a journey to these Pilgrim locations remove all sins as a human being whatever you have done in your past and present life. The yatra offers you sense of belongingness, heart Purity and act of self-actualization in life. I would love to share my experience of the trip to Chardham. We were a group of 10. Chardham is the place which covers 4 holy places - Badrinath, Kedarnath, Gangotri, Yamunotri.Badrinath is the temple where Lord Vishnu is worshiped, also known as Badri Vishal. Saint Adi Shankaracharya attained freedom from incarnation in this region.Kedarnath is Shrine of Lord Shiva, One of the 12 Jyotirlingas, part of Panch Kedar.Gangotri is the Origin of River Ganga (Ganges), Temple of Goddess Ganga is located here. Yamunotri is the Origin of River Yamuna, Temple of Goddess Yamuna is located here. Chardham covers other places like Valley of flowers, Hemkund sahib. 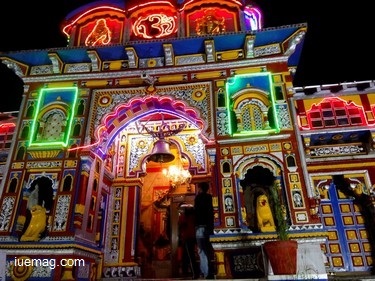 These holy places are in the state Uttarakhand - The land of gods. Our Journey Began on september 14th from Bangalore International Airport. It was a sunny morning when we reached Delhi, we got into a tempo traveler. We saw few of the places in Delhi and left to Rishekesh. By 8pm we reached our destination. It was a tiring journey, we covered about 240km to reach Rishekesh. The next day morning we traveled to Mussori and Ghankichetti. It was 6 hours drive. It was late by then we decided to stay for the night at a small hotel. The place we halted for the night was maintained by poor people, though it was maintained by poor people, the service they gave was brilliant. They served us with hot chapaties and dal (I Felt 'Anna datha Sukhi Bhava'). The Temperature widget on my phone was displaying 5° Celsius! Thank fully they provided warm bedding. The next morning we started our Journey towards Yamunotri. It was 6km trek to the temple from the base. We took almost 3hours to climb the hill to reach the yamunotri temple. 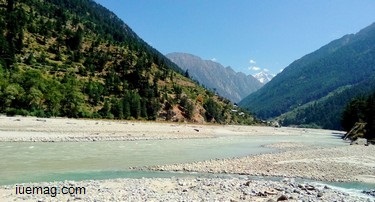 The birth place of Yamuna called as Yamunotri is an increadable place, the climate was moderate. It was a wonderful experience. We all visited the temple, we took bath in hot springs. It is believed that taking bath in hot springs causes no skin diseases. After the visit of the temple we had delicious food prepared by the people around. We had hot samosas, paratas and pakodas. We again walked down towards the base of yamunotri and left to Gangotri which was 6 hours journey. The people overe there were so kind and inspiring , the nature made us feel wonderful for being born as human. It was late evening when we reached our next destination. We halted in a hotel and stayed there for the rest of the night. The next day morning we visited the temple Gangotri, from the temple 6km is Gomukh. There we can see the birth place of river ganga, We had to trek to reach that place. As soon as we entered the peak, we were all mesmerized to see snow covered mountains and the climate. We visited temple and we saw the river Ganga flowing near by temple. We had a splash in the river Ganga, it was too cold. after we came out we felt we are all blessed. There is a Famous Quote which says "Ganga Snanam - Tunga Panam" Many says, Taking holy bath in River ganga and drinking water of River Tunga which flows in South India will make a person complete. Gangotri is truly a irresistible place. We headed to our next destination Badrinath. It was the most awaited place to all of us. A 5 hour journey gave us a lot of experiences. Starting from Land Sliding to the Scenic beauty. Yes !! We experienced land sliding. One BIG Salute to the Indian Army who came to help everyone in the tour without even thinking twice.We reached Ananth Mutt of Badarinath in the evening. We had lot of time. So, decided to go to Managadi which was 3km from Badrinath. Managadi is the place which covers Vyasa guha(A Cave where Vyasa maharshi stayed there around 4000 years ago) Ganesha guha (A Cave where Lord Ganesha started getting mentorship from Vyasa Maharshi). We had been to the "LAST TEA SHOP OF INDIA" in Managadi (Very Close to Tibet). Few steps ahead we saw the river Saraswati. The river Saraswati is known for its beauty. It flowed with a great force and sounds very pleasant. We saw the Sangam. Sangam is the place where the two rivers meet. We were there at the Sangam of river Saraswati and river Alaknanda. Badrinath once in their lifetime. According to the Bhagavata Purana, "There in Badrikashram the supreme being (Vishnu), in his incarnation as the sages Nara and Narayana, had been undergoing great penance since time immemorial for the welfare of all living entities." Badri refers to a berry that was said to grow abundantly in the area (Jujube Fruit), and nath means "Lord of". I can literally say, “I was in a Heaven on earth”. We returned to Ananth mutt after the visit of Badrinath temple. All of us was served dinner by a priest very traditionally. I helped the priest by serving food to the others. We stayed there for the rest of the night. The climate was cold and it was about 10-12 degree Celsius. Badrinath is a place which attracts everyone. I felt like staying in Badrinath forever. Early morning, we started our journey from Badrinath to Govindghat; it was about 2 hours journey. We reached Hemkund Sahib Base via a Helicopter (My First Experience in helicopter). Again a 3 hour Trek to Gurudwar. The trekking was wonderful; and we passed through the valley of flowers and the peaks were covered with snow. It was one of the most mesmerizing moments of my life. We reached Gurudwar and took a holy dip a pond. The specialty of this pond was the pond is filled up with water that flows from the 7 mountains. It was a breath-taking moment when we entered this place. We returned to the Hemkund sahib base to board another helicopter to reach Govindghat. The next morning we left to Haridwar which was 244km from Delhi. 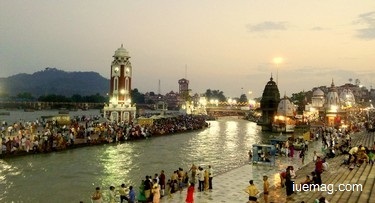 Haridwar is the place where river Ganga flows and worshipped. We took a holy dip in river Ganga and proceeded to the temple. We halted in Haridwar for the night. Next morning we left to Indira Gandhi International Airport, Delhi. This was our last day of our tour. I really miss our Driver Mr. Rajendra Singh and the Tour Guide Mr. Vijay. This was one of my best experiences in my life. I am lucky enough to visit one such heaven on earth at a very early age (16). People in these places are very generous. And are still recovering from the natural calamities that happened in the year 2013. Any facts, figures or references stated here are made by the author & don't reflect the endorsement of iU at all times unless otherwise drafted by official staff at iU. This article was first published here on 5th October 2015. Purandara Kashyap is a contributing writer at Inspiration Unlimited eMagazine.